Wake up your face with this truly remarkable scrub. Dry, dead skin cells disappear as healthy, new, younger looking skin emerges. Leaves your face feeling smooth, soft, rejuvenated and glowing. 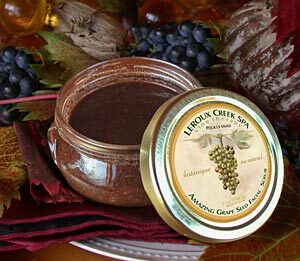 Ingredients: Grape Seeds, finely ground, Dendritic Salts, Grape Seed Oil, Jojoba Oil, Vit. E (T-50), Grapefruit Seed Extract, fragrance free.